Hannah Chung is building a business with a product, "Jerry the Bear" which will help children who have Type One Diabetes. The pretty, perky young lady clicked across the hardwood floor of the mansion, her high-heels making a racket. She came at a high rate of speed, right at me, thrusting her hand out as she came. "Hi! I'm Hannah" she said warmly. I wasn't sure what the ensuing conversation was going to entail but I suspected it would be good. Hannah Chung is an engineering student at Northwestern University in Chicago. Well, sort of. 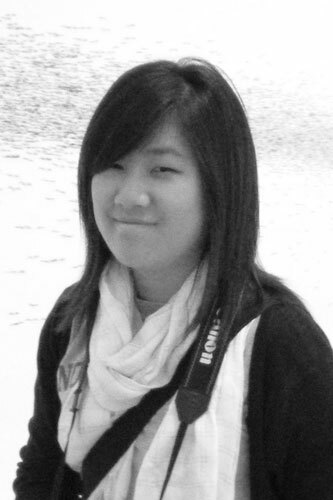 Hannah Chung is a tech engineer/entrepreneur building her company in an incubator in Providence, Rhode Island. Hannah Chung is one of Inc. Magazine's "15 Women To Watch In Tech." Will the real 'Hannah Chung' please stand up? Actually, she's all four, I would learn during our conversation. I was at The Kairos Society mentor dinner at the deSeversky Mansion in Old Westbury, Long Island when Chung zeroed in on me about her passion, a bear named "Jerry." She got my attention swiftly. Turns out, Diabetes is a problem in Hannah's family and was very much on her radar screen growing up. As she grew, learned and went to Northwestern to study engineering and all sorts of tech, design, engineering and entrepreneurship classes, she quite naturally was drawn to the design and creation of products that would solve a particular problem. Hannah's partner-in-crime is Aaron Horowitz, whom she met in Aaron's first class at Northwestern in her sophomore year there. The class? "Industrial Design." 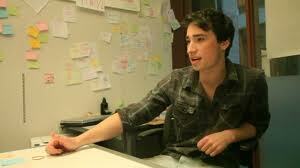 Aaron is the the "Jerry" CEO and the kind of guy who loves figuring out how stuff works and building things. Hannah is a "doodler and tinkerer' and Aaron is a "maker and builder." This combo seems perfect. And, Aaron's intense interest in AI and Robotics has really driven "Jerry" forward. His real passion is something he calls "Mechatronics," which he is quick to tell me involves "how people play with robots and user interaction design." Hannah was a co-founder of Design for America, which was an organization started by students and faculty to, as Hannah says, "use design to solve local, social problems." Both Hannah and Aaron are on the National Board for Design for America. It was during a Diabetes Mine blog competition that the first seeds for "Jerry" were sown. Diabetes Mine is a leading online support site for the parents of children with Diabetes. This competition first sparked then ignited Hannah and Aaron to come up with and refine the idea of a teddy bear that would daintily teach children with Diabetes how to cope more comfortably with the everyday machinations of this awful disease. Jerry the Bear ain't no ordinary bear. No he's not. He's got blinking eyes and speech. When a child tickles him, Jerry laughs splendidly. He's got injection points all over his furry body where children can practice with a simulated injector and take close note of the importance of the injections themselves and the rotation of them accordingly. Jerry's got a "glucose gadget" LED screen in his belly which shares his blood glucose and insulin levels by saying "I'm hungry," "I'm thirsty" or "I'm drowsy" to teach children with diabetes to read their condition. Kids can watch his blood glucose level rise as they give him his injections. 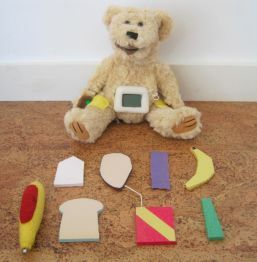 This special bear has a food-sensing mouth into which children can put the plastic food items from "Jerry's Kickin' Kitchen" with different sensors to elicit a positive or negative Jerry response on the food's appropriateness. And if all that wasn't enough, Jerry has special sensors built into his hands which allow the child to use the injector pen to learn the importance of the finger-pricking process. Now working to improve Jerry and increase distribution -- a funny word for a teddy bear for children with a disease -- Hannah and Aaron are based in a Providence, Rhode Island "mentor-driven" accelerator/incubator called Betaspring. There are some killer mentors involved there. What would the Hannah/Aaron duopoly like for Jerry's future? A trade sale to a toy company or acquisition by a Big Pharma/Medical company? "We'd like to go on to other childhood illnesses," Hanah said provocatively, "asthma, cystic fibrosis, leukemia, and epilepsy are all on our radar screen -- our journey never stops." Aaron adds in a JFK-like tone, "Instead of asking if there is anything we can do; we continually ask ourselves if there is anything we can't do." After a recent meeting with Esther Dyson, Hannah and Aaron were buoyant. Dyson said, "One thing I like about them is that they are ambitious but not grandiose. They are starting out with a single product for a specific target market. If that works out, they will have learned a lot and will be well-equipped to expand. But overall their mission -- to help people manage their own (children's) health is about as significant as you can imagine." Amen Esther. Honestly, this is one of the most heart-warming, 'doing well by doing good' products I've ever encountered. Hannah, Aaron, Jerry and their collective mission simply touch me like very few have. And that makes me feel very good about humanity in general.